(March 27, 2014 – Vancouver, British Columbia) We’ve all seen them. Or heard them. Maybe in a shopping mall, playground or on a crowded bus or airplane… young kids frustrated at anything from a wet diaper to being denied some treat to being told it`s time to go home. We’ve seen the parents too. Embarrassed, sometimes just as angry and sometimes over the top in their response to the sudden, uncontrollable outburst of anger from such a tiny human being. Well… that`s nothing compared to how Angry Kids and Stressed Out Parents begins. This new documentary from Vancouver-based filmmakers Helen Slinger and Maureen Palmer`s Bountiful Films premiers on CBC Television’s Doc Zone tonight, Thursday, March 27 at 9:00 pm (9:30 pm NT). It opens on a startling scene of maternal anguish, but this is no ordinary mother. Twenty-five years ago this December, Monique Lépine’s son Marc murdered 14 young women at Montreal`s École Polytechnique. Today his mother makes the link between her son`s crimes and his abused and neglected upbringing. In the quarter century since Lépine’s murderous rampage, there’s been a sea change in our understanding of a young child’s developing brain. With what we know today, it’s probable that many criminals could be stopped in their tracks – before they graduate grade one. And keeping just one person from a lifetime in prison saves tax-payers $3.5 million – $5 million if there’s an addiction involved. And crime costs are just the tip of the iceberg. Troubled kids cost us billions in health, education and social services every year as well as immeasurable pain and suffering. More importantaly, we can fix this problem for a fraction of the cost of what we’re paying in largely failed attempts to fix it later. We already know how. 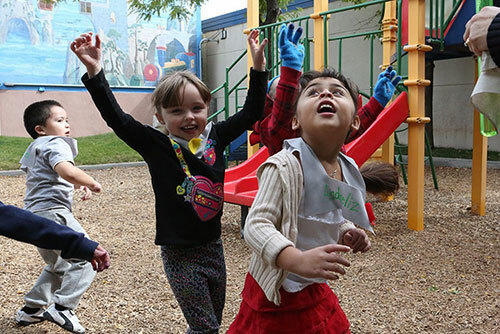 Researchers have tracked the progress of kids enrolled in pioneering high-quality early childhood intervention programs. Four decades later, the kids who got help are much more successful and lead healthier lives as adults than those who did not. 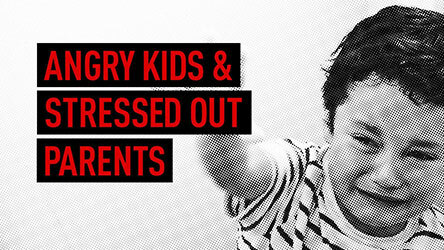 Angry Kids & Stressed Out Parents follows children and parents enrolled in three groundbreaking interventions. These programs work with parents and kids to help children master the skills they need to do well in life, like self-control and self-regulation. From middle-class kids to children of poverty, we witness young lives transformed, social problems solved, and billions of taxpayer dollars saved. And today there’s fresh urgency to invest in solutions since, for the first time in North American history, more children suffer from mental health conditions than from physical ones. Parents are coping with staggering levels of anger, aggression, and other behavioural problems. Experts in child development believe the problem is going to get worse, not better, because too many parents are too busy, too stressed, or too poor to invest in the most important time in a child’s life: the first six years. Triple P – The Positive Parenting Program is available to all Canadian families. For this production, three families allowed the filmmakers to follow them through the multi-week Triple P program as they mastered tools to teach their kids self-control. 3-year-old Jilliane pitches frequent and uncontrollable temper tantrums. 3-year-old Jackson hits and kicks his mother when she asks him to do a simple task. And 5 year-old Luke’s back talk and acting out has pushed his mom to her limits. By the end of the documentary, the changes in each child’s behaviour are astonishing. The skills learned in Triple P prevent the development of the worst behaviour problem: conduct disorder. Preventing just one case of conduct disorder through early intervention results in a lifetime savings of $280,000.00. The PAX Good Behaviour Game is a deceptively simple – and cheap – program available to children in Manitoba elementary schools, as part of the regular curriculum. It makes learning self-control a game that children love to play and the results are astounding: PAX is proven to affect rates of high school graduation, adult criminality, suicide. The Abecedarian Program is operating for the first time in Canada in Lord Selkirk Park, a poor, predominantly First Nations neighbourhood in Winnipeg. Developed in the 1970s to change the future for primarily black, very poor children in North Carolina, the program is built on intense one-on-one learning, imbedding language skills into everything. By age 30, the original North Carolina Abecedarian children were four times more likely to be university graduates, 50 per cent more likely to be employed full time, and 84 per cent less likely to receive social assistance. With Canada’s First Nations population rapidly expanding, these are vital statistics. Across the community, every dollar spent on early childhood intervention saves as many as $17 down the road. Yet it’s always problematic for governments, seeking re-election, to spend now in order to save later. But there’s another statistic worth keeping top of mind for governments and voters – children who go to juvenile detention are close to 40 times more likely to become adult criminals. By the time a child lands in juvie it’s often too late. But a decade earlier, we can make a huge difference. We now have the power to stop many future criminals – in kindergarten. Angry Kids & Stressed Out Parents, subtitled How to Stop Crime, Save Billions, & Raise Happier, Healthier Children premieres on CBC Television`s Doc Zone (click to see a trailer for the program) tonight, March 27 at 9 pm (9:30 pm NT). The documentary will be broadcast again on Saturday, March 29 at 11 pm ET (8 pm PT) on CBC News Network. Written and directed by Maureen Palmer and produced by Helen Slinger and Maureen Palmer, Angry Kids & Stressed Out Parents is narrated by Ann Marie McDonald. Produced by Bountiful Films in association with the Canadian Broadcasting Corporation and with the participation of the Canada Media Fund (CMF), Province of British Columbia Film Incentive BC and the Canadian Film or Video Production Tax Credit. 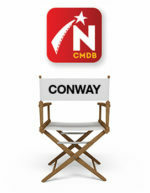 There is more about this program on the Bountiful Films website.